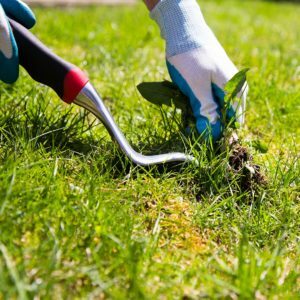 Organic Lawn Care: Is It Right for You? Safety first! While most pesticides, fungicides, and herbicides have been proven safe, it’s always better to avoid exposing those you care about to anything that ends with “-cide” as often as possible. Your lawn will appreciate it. Organic products can improve the soil’s ability to hold water and nutrients. Plus, they tend to disperse nutrients more slowly, providing a steady supply for plants for consistent success throughout the season. Because of the slow release, you won’t overwhelm a plant with nutrients and cause it to burn, like some chemical fertilizers do. It’s even beneficial for earthworms and microbial organisms that help more air get to plant roots. You don’t have to worry about groundwater pollution. The slow dispersion is a double-edged sword; unlike chemical products, it takes longer to see the benefits of organic lawn care. It’s time-consuming. You need to start applying organic products sooner than chemical ones and continue throughout the season. That’s why our Green Lawn Program includes seven applications. Self-application requires a lot of research, so it’s important to set aside time for planning before you begin. At Green Lawn Fertilizing, we believe in providing lawn care that meets each family’s needs. That’s why we have an organic natural program for those who are trying to avoid chemical solutions. Our natural lawn care program consists of seven organic fertilizer applications in the specific amounts necessary to ensure proper land growth. Call us today at 888-581-5296 to learn more about our organic lawn care program.